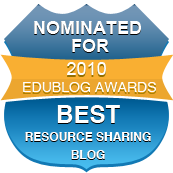 I was surprised to find out that my blog, InTec InSights, was nominated in the category of "Best Resource Sharing Blog" in the annual Edublogs Awards. I am honored to have been nominated by my peers for such an award. If you'd like to vote for this blog, please visit the voting page and choose InTec InSights. As a technology integration specialist, I started this blog as a simple way to share great technology resources with the teachers in my school district. To my amazement, I have also received a great following from educators all over the world. 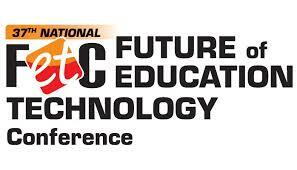 It is wonderful to know that I am part of a network of educators that are passionate about educational technology. Make sure you check out all of the great nominees on the Edublogs Awards main page, you are sure to find some great blogs to follow. A popular elementary theme for December is the gingerbread man. The TES I-Board has two wonderful interactive activities for The Gingerbread Man story. The first activity is an interactive book. Students can hear the book as it is read to them and can click on the magic wand to recreate the scenery of the story. The second activity allows students to sequence and retell the story. Students can drag the story scenes to the timeline and play the timeline to listen to the retelling in the order they chose. Use the arrows on the timeline to reorder scenes. Students can also use the pencil to edit the text and to retell the story in their own words. 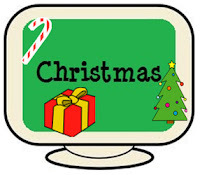 A simpler version of the Gingerbread Man story can be found at Starfall.com. In this version, students first choose shapes and colors for the gingerbread man's eyes, nose, and buttons. Then the gingerbread man runs away. This activity would be perfect for lower primary students.